I happen to have an ever increasing favorites area I simply lable ‘decorating inspiration.’ When I glance at a picture, I don’t simply look at the obvious. I look at every detail and analyze why I love it and what I could do to incorporate that ‘feel’ in my own home. Some pictures have direct links to the websites I found them on. Others don’t, so if you recognize any of these images, please feel free to give the owner’s full credit in the comments section! However, I so wanted to include them, link or no link. 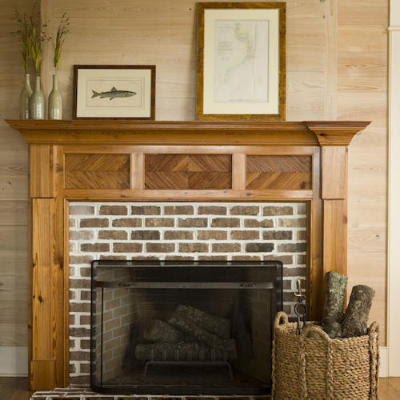 I love this fireplace for the white grout. Grout is generally dark, but the grout highlights each and every brick. That mantle would look wonderful in white too! 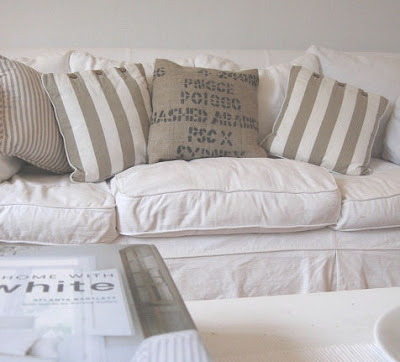 What a great way to bring out the whites in the rest of your home. The texture captures me with this picture everytime. I love the warmth of that rock wall. The thickness of the island creates such an unusual and substantial place to plunk yourself down. This one is one of my coolest finds ever. The wall separating the kitchen from the rest of the house incorporates a very unique pantry that houses a metal sliding door. This is funky to the hilt! 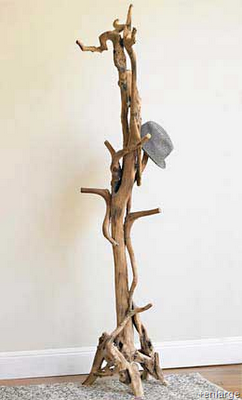 What is not to love about this driftwood coat rack? Ahhhh. I can sink into this by just looking at the pic. I LOVE the burlap against the whites. So refreshing and casual. This one got me. Reason being, I was dreaming up how I could incorporate a gazebo in my own yard that would stand up to the high winds and pounding rain we get. I desire a special place to plunk my propane firepit that would somehow block off the wind. This inspiration has me thinking, fabricate a gazebo based on what kind of folding doors I can scoop up for that wind block in the desired location at any given moment! That way on a windless day, you still claim your full view. Awesome! I LOVE how the surround is treated in this soaker tub area. This look has me holding off on the tile I had planned and on the lookout for something that is waterproof yet can have this look for my shower surround. I have no idea if there is such a thing, but I’m going to create it if it doesn’t exsist! And isn’t that barndoor exquisite? 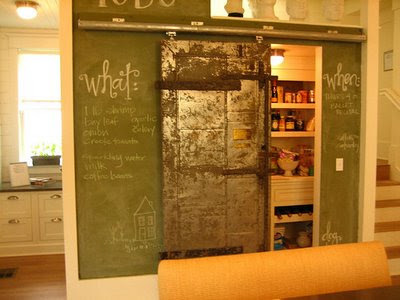 You can incorporate that door anywhere. On hallway closets, pantries, as a headboard… gosh I love those barn doors! Do you have a few of your favorite things stored up somewhere? And what have you done with that inspiration? I know exactly what you mean about analyzing things. It is just too much fun, and I do love white. 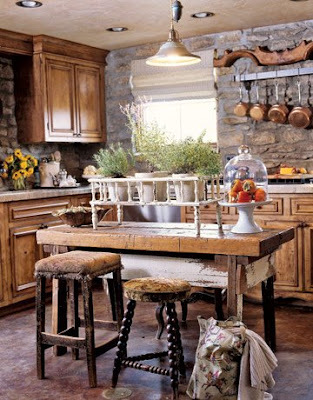 Girl-that kitchen is definitely a MISTI kitchen. The exposed brick and stone are just up my alley! Oh, and that chunky island…grrrrrrrrr, I want it! The barn door in the bathroom would be so unbelievably perfect over my tub too. So many great ideas that I can totally relate to. More ideas please! Have a awesome weekend. each one of those pictures has something so wonderful in them. great pics!